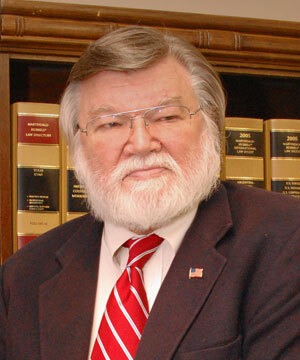 Robbye R. Waldron was a partner and co-founder of the firm, was licensed to practice law in 1969. He was a graduate of McMurry College with a B.B.A. in Finance in 1963 and received his J.D. degree from the University of Texas School of Law in Austin. In addition to enjoying a private practice of law as an Elder Law practitioner, Mr. Waldron served as a Bankruptcy Trustee for the Southern District of Texas for over twenty-one (21) years. Mr. Waldron was a municipal judge, certified mediator, disbursing agent, trustee in chapter 7 and 11 bankruptcies. Mr. Waldron served as Chairman of the Board, CEO, CFO, and President for private corporations and banking entities. Mr. Waldron was a decorated Vietnam War Veteran and served on numerous civic and social organizations in the Clear Lake and Alvin, Texas areas. Associate Attorney Mary Borrego writes about a person‘s rights when it comes to debt collections. Congratulations to Partner Mark Rubal for being featured on SHOWMETHEJUSTICE.COM for his Not Guilty Verdict in one of his criminal case. Click here to read the full Terms and Conditions. Copyright © Waldron & Schneider. All rights reserved. Website Designed By Get Social!